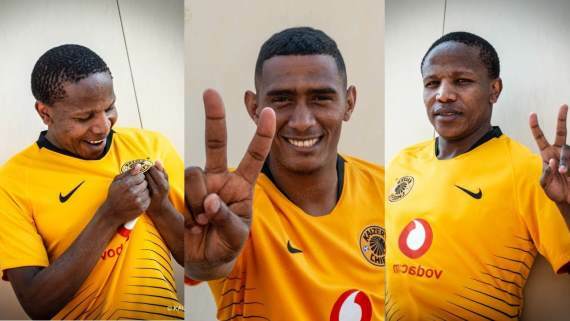 Kaizer Chiefs’ recent signings, Lebogang Manyama and Mario Booysen, are reportedly close to full fitness and could be available to face Cape Town City on Saturday. The pair were snapped up in the previous transfer window with Manyama arriving as a free agent after a difficult spell in Turkey with Konyaspor, while Booysen arrived from relegated Ajax Cape Town. According to Soccer Laduma, the forward and the defender were involved in full training with the first side during the international break and may be available to face the Citizens in the Mother City. In addition, Amakhosi have also been boosted with the news that striker Gustavo Paez has resumed full training following a sinus issue. Chiefs face City at the Cape Town Stadium from 15:00 on Saturday with the Soweto giants looking to record their first win in the Premiership under Solinas.